Originally published in 1941, this book presents a comprehensive history of Poland from 1697 to 1935. 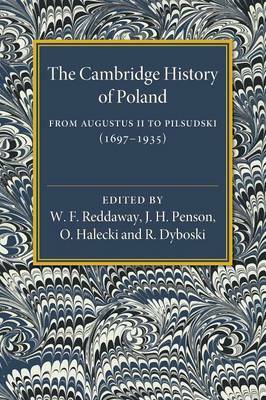 The text was begun on the initiative of the renowned Cambridge historian Harold Temperley (1879-1939), who arranged numerous meetings with Polish and British historians in relation to the project, and was completed following his death. This book will be of value to anyone with an interest in Poland and European history.